Growing up in Samira Wiley’s home, you could tell which day of the week it was by which type of shows were on television. If it was Tuesday, Thursday or Saturday — her days — the vibe was MTV, VH1 or BET. On Mondays and Fridays, when her younger brother Joshua ruled the remote control, it was all about ESPN. Home was Prince George’s County, Maryland (she grew up in Fort Washington), and it was there that her love of performance and all things entertainment, with a pinch of athleticism, was fostered. When she and Joshua weren’t duking it out over the television, they were changing in and out of sports uniforms, hitting their respective playing fields and tearing it up in the name of competitive sports. 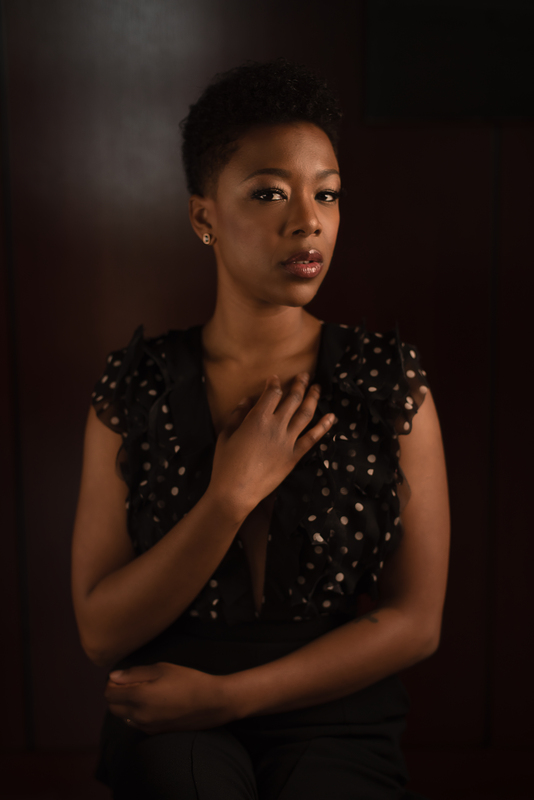 Samira Wiley, a Maryland native, has starred in two TV series that are part of the cultural zeitgeist: Netflix’s Orange Is the New Black and Hulu’s The Handmaid’s Tale. She’s laughing because her days as a would-be superstar athlete are all behind her — unless someone comes a-calling with a sports role that needs to be brought to life. By now, everyone knows that she spent 50 episodes starring as the beloved Poussey on Netflix’s addictive and groundbreaking Orange Is the New Black. Her character’s demise struck a chord. The character was killed by a prison guard, which sparked a protest at the fictional female detention facility. The fallout around the killing of Poussey came at a time when national headlines felt eerily familiar and #BlackLivesMatter had perhaps reached peak battle cry. “She was someone I fell in love with,” said Wiley, “and lot of people offered me roles on other things [that] felt [like] Poussey.” Poussey was a young gay woman who made some mistakes and landed in a federal prison. 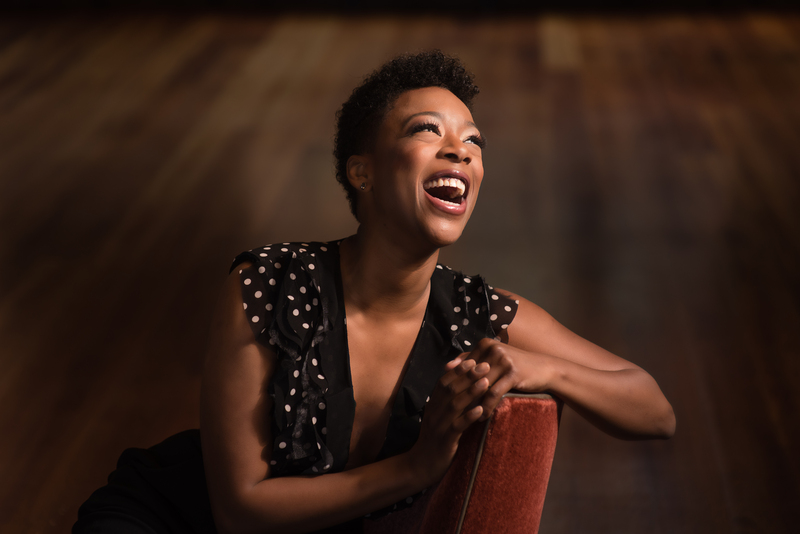 Post-Poussey, the Juilliard-trained Wiley wanted to flex her acting muscles in a way than the world had yet to see. And now she’s entering season two of Hulu’s acclaimed The Handmaid’s Tale, a series that many critics say mirrors the Trump era. The show is set in a not-so-far-off future, after the U.S. government has been overthrown by a totalitarian, Christian theonomy. Pure coincidence, considering that the series is based on the 1985 Margaret Atwood novel and the series was filming before the 2016 presidential election. The women in Atwood’s fictional world are subjected to misogyny in a patriarchal society, but over the first season viewers watched them fight for individualism and independence. This all seems very in line with the current political climate and the brave outpouring of women fighting against sexual harassment and assault in the #MeToo era. Atwood’s world was white. The series creator, Bruce Miller, wanted to diversify near-future New England. “The decision to have people of color in this world stems … from him saying, ‘I don’t want to make a f—ing TV show with a bunch of white people.’ That’s literally where it stems from … like, ‘I don’t want to be a creator in this [kind of] world right now, even if this is the book.’ ” She says that was nice to hear. “It’s just sort of a happy accident that the two shows I’ve been on have permeated our culture in this way,” said Wiley. “They’re relevant. They’re saying something that society needs to hear. I think [my future] is about … keeping that voice that’s relevant but also having a fun career. And maybe one day she’ll wear a sports uniform again.